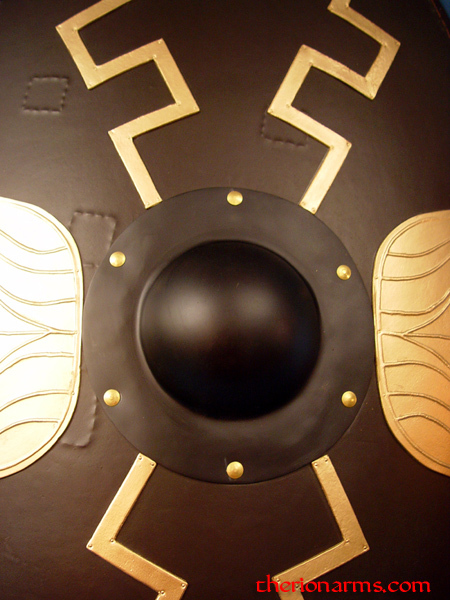 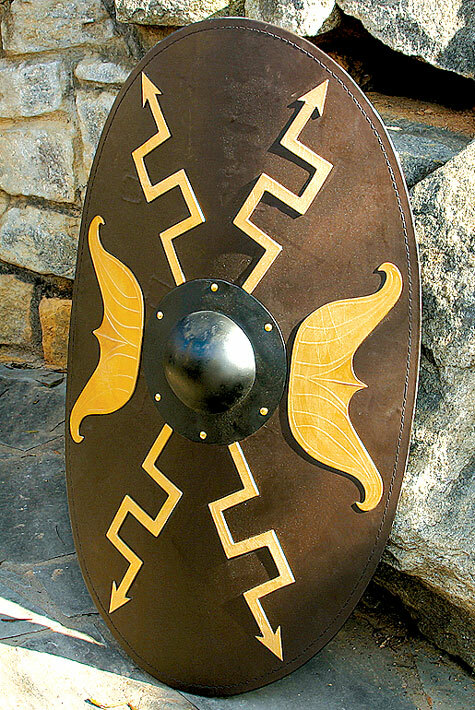 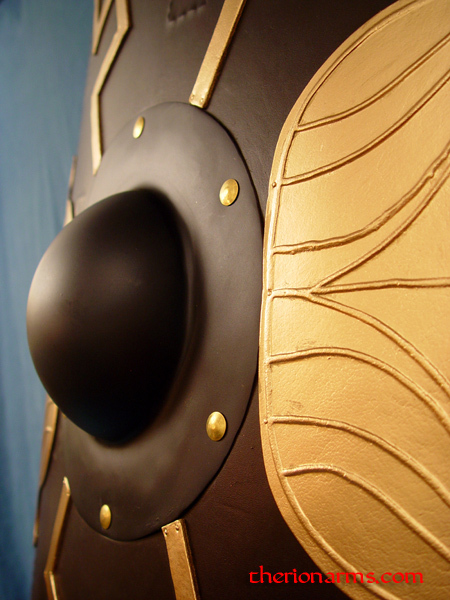 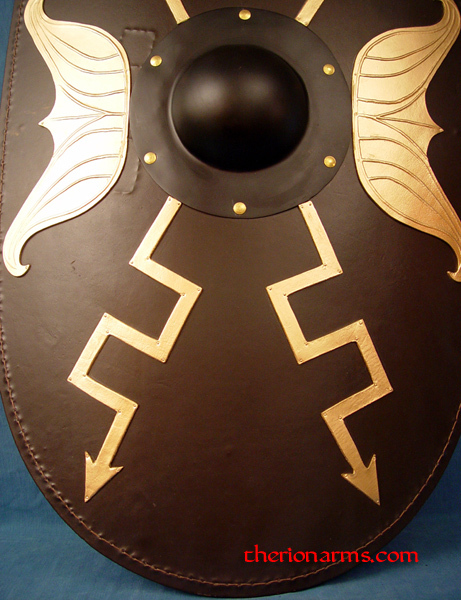 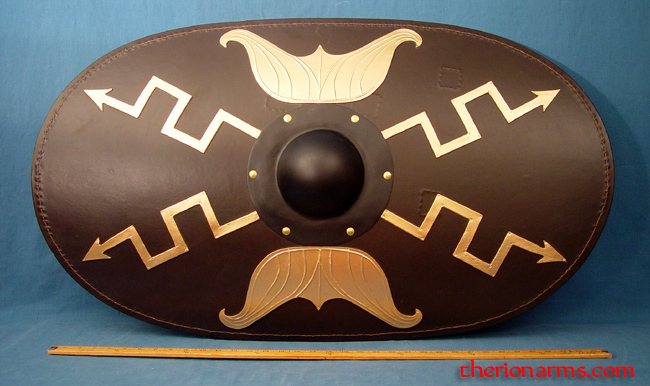 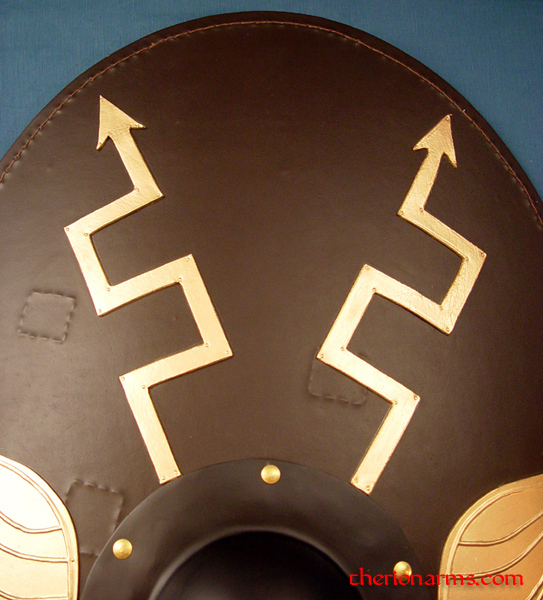 Roman shield made of curved wood covered with leather. 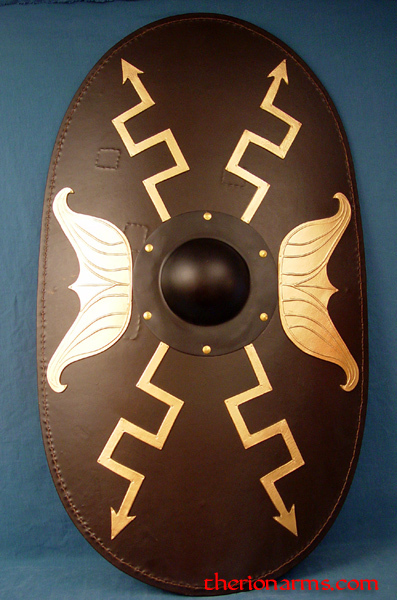 Blackened steel boss, gold leather wings and lighting symbols, leather arm straps. 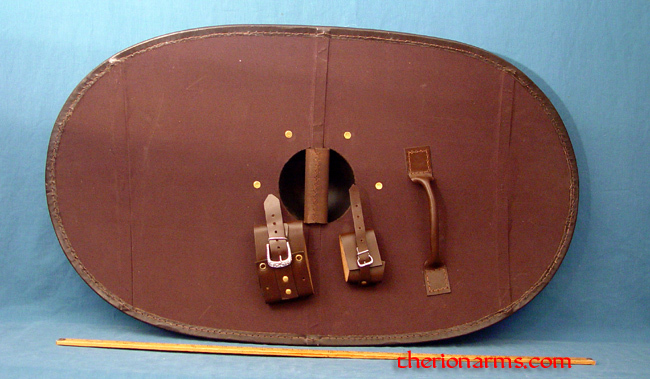 Dual system, can either be used as a center grip shield or forearm-strapped. 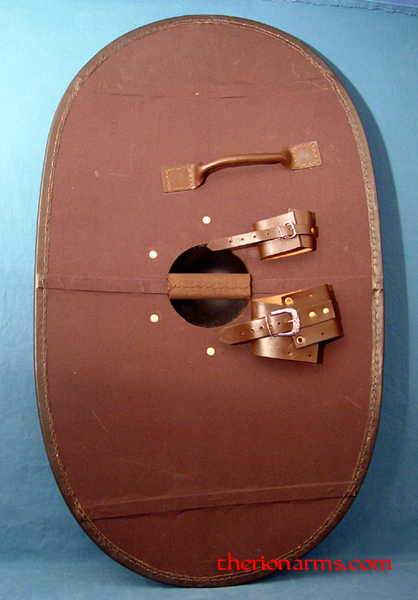 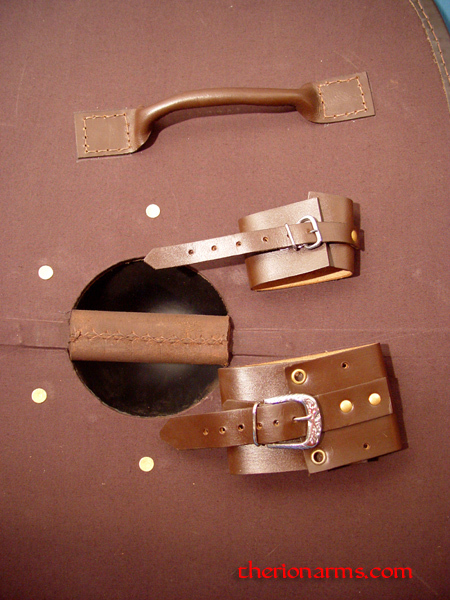 As carried by the Roman cavalry troops in the HBO series 'Rome' and in the show 'Republic and Empire'.